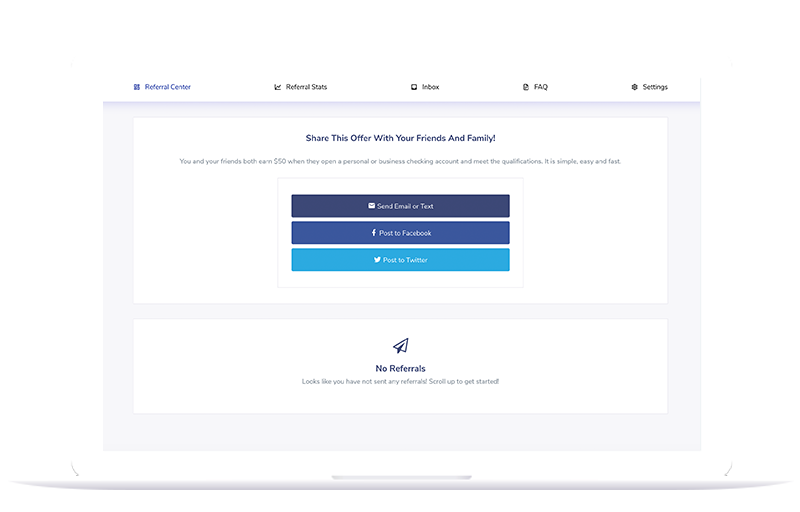 Use this site to invite your friends to open a checking account and join our family. When they do, you’ll both receive $50! Watch your reward dollars grow. It’s easy. Sign-up. Refer your friends. Get paid. Refer friends and family using our referral center. Keep track of your referral's progress as they open an account, and meet reward qualifications. After your referral opens an account and meets reward qualifications, $50 will be directly deposited in you and your referral's account! Download the Providence Bank Referral Center app today to send referrals on the go from your mobile device. This app is available on Google Play and the Apple App Store! Copyright © 2019 CS3 Marketing. All rights reserved.